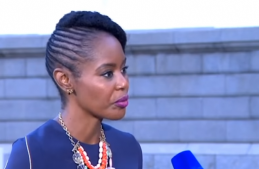 Economist Thabi Leoka is warning that funding for various government-controlled sectors, such as health and education, may be affected due to Eskom’s dire financial situation. This as the Minister of Finance Tito Mboweni, in his first Budget speech in the National Assembly on Wednesday, has to reassure investors over Eskom, without alienating union allies ahead of national elections. Leoka says Eskom’s debt burden is more than the funds allocated to health and education combined. She says Eskom’s budget may be absorbed by the national budget to assist the failing state-owned enterprise. “Eskom is such a problem that he may move the budget and allocate, or at least move it into the national budget. So Eskom’s budget may actually be absorbed by the national budget and the risk there is that it increases the deficit and Eskom’s debt burden is more than the money that is allocated to health and education combined. But you can’t afford to not rescue Eskom. It is too big to fail – at the cost of many other things like development, education, infrastructure, health – that is going to be the cost of not allocating funds towards what is necessary for the country,” says Leoka. Hope lessons from Kigali will be worth it! The post Eskom crisis could affect funding in govt sectors: Economist appeared first on SABC News – Breaking news, special reports, world, business, sport coverage of all South African current events. Africa's news leader..